Standard Bank Managing Director and CEO Mamun-Ur-Rashid is seen at a workshop at its training institute in the capital recently. 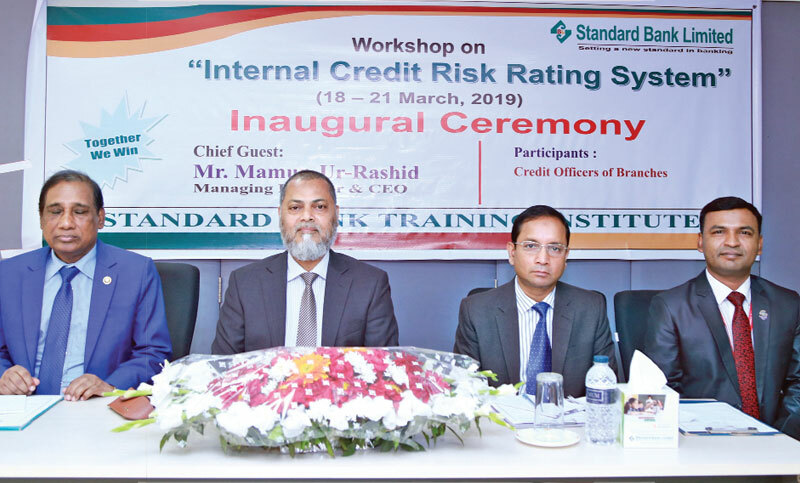 Standard Bank Limited organised a four-day long workshop on ‘Internal Credit Risk Rating System’ for credit officers at its training institute in the capital recently. Mamun-Ur-Rashid, Managing Director and CEO of the bank inaugurated the workshop, said a press release. Among others, EVP and Head of Credit Division Md Moshiur Rahman, Md Zakaria, Principal and Md Amzad Hossain Fakir, Faculty of the training institute were present on the occasion.